It doesn’t stop there, though, it also works in conjunction with appmenu-gtk-module (or unity-gtk-module for pre-Gnome Ubuntu) enabling global menu for a wide selection of applications, including Gimp, Inkscape, Sublime Text, Audacity, and many more. There’s also a quite extensive mapping table for menu icons, although not all applications provide action names I can work with. For LibreOffice you need to install libreoffice-gtk2 or libreoffice-gtk3 and then export SAL_USE_VCLPLUGIN=gtk (or gtk3). 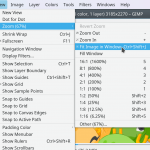 For Gimp, Inkscape, and others you need to install appmenu-gtk-module and export GTK_MODULES=appmenu-gtk-module (substitute unity for appmenu in older versions of Ubuntu and KDE neon). 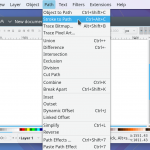 GTK3 applications such as gedit and shotwell should work right away. What now needs to be figured out with distributions is how to achieve the best possible user experience out of the box. Many thanks to Konstantin, current maintainer of appmenu-gtk-module, for helping me understand the quirks in the protocol, and Rokas Kupstys for extensively testing my implementation. Update: Since this suggestion comes up a lot: Yes, porting the “appmenu runner” has been on my wishlist for a long time. Unfortunately, it’s far from trivial to get all the applications to export their menus whilst also keeping them shown inside the window. I could pull it off for Qt apps (by submitting a patch for an enabling flag) and perhaps GTK (by not setting the “shell shows menu” option) but there could be others that would have their menus rendered inaccessible. I might give it a try but for the time being it will only work when actually enabling global menu. Wow, that’s awesome! I like global menu very much, now it’s even better! That’s it. I am going back to KDE if this will make it to Kubuntu 18.04. Missing of global menu is my biggest disappointment with Ubuntu ditching Unity desktop. If I’m right that could be done without serious problems when menu is global, but rendered by kwin as usual menu under header. But that needs changes of kwin and it was frozen for x11 in 5.12. Please do give it a try!!! Greats news! Improving the integration. Thanks. Incredible. Thank you for your excellent work. Wow, extremely impressive! This makes Plasma the “unifying desktop environment”. Bring your app, it works here! Awesome as you stream the menu is it also possible to search after a menu entry or a shortcut? Any chance we will see something like unity locally integrated menu? I’ve been hanging out for them since switching to kde. You mean showing the menu in the title bar on hover? I would love that. Unfortunately I’m not very good at QPainter (used to draw the window decoration) and I also don’t want to use libdbusmenu inside KWin. Currently, KWin just reads some window properties to find out if a window has a menu and then calls an external kded module that actually queries the app and shows the popup menu. I would love that too. And thanks for your hard work! Nice! Does this work under Wayland as well? Not yet. 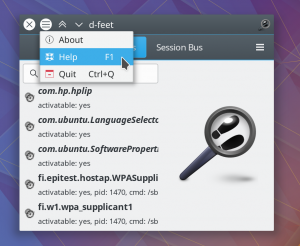 It is designed in such a way that it doesn’t really care where it gets the information about which DBus service to talk to but as of now it relies on GTK writing that as X properties on the window. I could imagine that we would need to support GTK’s menu Wayland protocol, if such thing exists, in KWin and forwarding that information to the proxy somehow. I just builded plasma-workspace broulik/gmenu-dbusmenu-proxy branch on a current Debian sid, but I couldn’t get the GTK global menu to work neither with any GTK2 or GTK3 app, also it didn’t work with Libreoffice with GTK3. I’ve installed appmenu-gtk2-module and appmenu-gtk3-module versions 0.6.92-1 and exported the variables, but the global menu didn’t appear on the panel or the menu button with the window decoration, but for example, in GIMP and the other apps it didn’t appear any menu below the window decoration neither. Is there a way I can debug or provide more info? It’s now merged to master which has some additional fixes over the feature branch I worked on. Debian Sid was one of the distributions I developed and mainly tested it on, so I’m surprised you’re having no luck with it. Sorry for the confusion, it was my bad, I was using the Debian packaging scripts to generate the packages and I missed the gmenudbusmenuproxy binary among other files. Now I added them and it’s working perfect!!! It would be nice if someone could check spacefm, I don’t have it setup for kde5 to mess around with…, vbox is a little messy right now, and need iso’s and etc. That’s the only app I have probs with global menu in kde4. 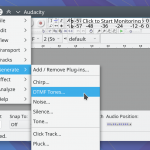 It’s why I had to uninstall the gtk part of the global menu on my setup, kde4. It spammed a bunch of errors in the terminal, something to do with the sub menu’s, maybe because they’re customizable or some other error on spacefm’s end.. If it doesn’t work, it would be nice to have some way to exclude the app in the newer kde5 ver of the global menu. I don’t use much gtk or none-Qt programs but I can’t avoid them completely so there is Libre, Firefox, Thunderbird, Filezilla, Inkscape and few others. Now our experience on Plasma will be more coherent and on pair with other DEs with global menus. THANKS! I have a question. At the moment I use AWC (Active Window Control) for global menus because it offers a lot more control over the look and behavior of menus with window control buttons. Also, the menu itself behaves better than default Plasma one (it is opening and the following cursor after initial click while system menu isn’t or wasn’t, maybe that has changed?). I’m not sure if AWC is using system global menus or does something on its own. Do you know if AWC will support all those menus after installing and configuring the needed packages? Or is it a question to AWC developer? At this time AWC is the missing piece to how menu and windows title bar behaved on Unity – perfection! (getting rid of the title bar in the maximized state, showing control buttons in the panel and all the options for that – size, placement, behavior, look, aurorae theme, etc.). Since Wayland is still far in the woods, I don’t care if it doesn’t work on it just yet. I hope it will be sorted out eventually but for now, X session rocks and Wayland is just experiment, nothing usable in the long run. Again, thanks for that! Can’t wait to try it out! I think AWC has a copy of Plasma’s global menu applet code in it or at least uses libdbusmenu-qt, so it should just work. I can confirm that it works with the git version. – When you mention projects/packages please link to them. It will make our life easier and your blog gain on SEO. – Where can we give feedback or submit bugs for gmenu-dbusmenu-proxy? So far I installed gmenu-dbusmenu-proxy and appmenu-gtk-module, rebooted and it works great! Tested on AWC so I guess my question from the previous comment is answered, it works out of the box with Active Window Control. Here is the list of the programs I could check. Those who work out of the box: Filezilla, Gimp, Inkscape, Sound Converter, PoEdit, Bleachbit, GrSync. There is no menu in: Firefox, Thunderbird, Libre (how do I get that libreoffice-gtk3 packages? I don’t see them in repo nor in AUR), GParted, PlayOnLinux, Spotify, Vivaldi, Opera. I didn’t export anything thou. Was that a command or should I edit some config? Menus seem to work fine without it after reboot. I suspect that Firefox, Thunderbird, Vivaldi, and Opera are complex programs on their owns and they might never support global menus, although… they do on Unity (Firefox at least, not sure about the others) so that’s still a possibility. I know that some programs do their own thing with the menu so they will not likely to work till a developer won’t change it (like Vivaldi). > Where can we give feedback or submit bugs for gmenu-dbusmenu-proxy? I’ll request a bugzilla category for that first thing Monday morning, it will likely be plasmashell → gmenu-dbusmenu-proxy, or even its completely own component on bugzilla. 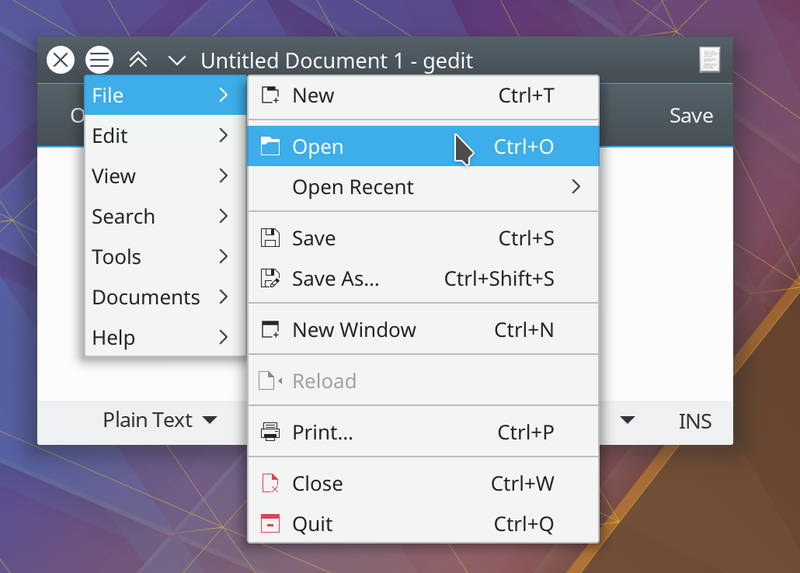 Firefox and Thunderbird are to be expected, they use GTK but don’t create a “real” GTK menu. Ubuntu has patches for them but they’re not upstream. I don’t know what the LibreOffice GTK VCL plugin packages are called in Arch. Thanks. Bugzilla is not the friendliest but it’s better than nothing. Github’s Issues is the nicest place to submit bugs IMO but in this case, it’s obviously not possible. So far no one can localize arch names for libreoffice-gtk3 on Arch. In LO 6.1 there should be support for KDE so probably global menus should start to work then but that is planned for 6-12th August this year. Till then we may stick with libreoffice-gtk3, assuming I will find it ;P. So far I see no package that would resemble it on repo or AUR. Maybe Arch community somehow omitted it? Hmm… Will investigate. Also, I realized that gparted won’t have global menus because it’s opening as root with its settings so grub-customizer and other apps that start with root won’t have global menus until Wayland forces them to root actions instead of the whole UI. BTW do you know about the Active Window Control plasmoid ? It enables to mimic the Unity behaviour. It can display the window title, the global menu, which can optionally be hidden. It’s super powerful & configurable… It can also hide the window decoration for fullscreen window and display close / minimize etc. buttons. I’m well aware of it but since it already exists, I didn’t feel the need to implement it in Plasma. I might, to provide a better out of box experience, but I don’t have any concrete plans on that. It’s very interesting GlobalMenu and useful. It doens’t work however for Firefox and Thunderbird, though others are supported (LibreOffice, Gimp, Chromium). Piotr, how did you enable global menus in Libre? It doesn’t work for me and there is no libreoffice-gtk3 package on Arch side unless it’s in arch repo which I don’t have access to being on Manjaro. Chromium/Chrome and electron apps have global menus on Plasma since the beginning. Kai Uwe answered me that menus in Firefox and Thunderbird are planned so we have to be patient. I have tried it on openSUSE Tumbleweed with KDE 5.12.2. Libreoffice, gimp etc. work perfectly. But there is problem with Sublime Text 3. The global menu is shown, and you can click it. But all the submenu buttons are grey, and I can’t click them. Interesting. I explicitly tried with Sublime Text recently and had no issues. I’ll try to give it a try with Suse. I just removed ~/.config/sublime-text-3 folder and tried again. The global menu works fine. But after I pressed ctrl-+ shortcut or changed it’s theme, the global menu broken as before. Just now I think maybe it’s the problem of sublime text 3 dev build. And I tried the stable version. The global menu works well. Then I changed to dev build and I found that it was updated to Build 3517 from Build 3516. And the result is the global menu works well with sublime text 3 build 3517, though I’m still confused. Will be giving this a test, I had only just the other week tried out global menu’s and realised hey weren’t working with gtk apps so I had to abandon my desktop layout I was playing around with. A possible solution for the HUD could be to have KWIN draw the menu under the windowbar instead of the app, using the Global menu infrastructure. As that would require some work, most would simply be okay with using the existing menu button and gaining HUD functionality. I know I would be okay with that. Thanks for the great work so far this is truly advancing the Linux desktop and giving users more options. I think that is not a viable option to do. I’d rather invest the time to paint the menu on the titlebar itself like Unity did then. I don’t use session restore, sorry. It’s probably the apps starting too soon before the menu service is ready. I’m tested on Archlinux , last plasma LTS release and two packages from AUR : gmenu-dbusmenu-prox, appmenu-gtk-modules-git. Working good, but random crash my PLASMASHELL when i try open sometimes gtk app. And i must restart PlasmaShell. Anyway looks good :) . One Question, in Ubuntu it’s possible to install external thing like JAyatana to work with Jetbrains Apps etc. How I can enable this for my “Visual Studio Code”? I can’t do it. oh, and if u want firefox working to, i installed firefox from aur , again ubuntu version. This feature is awesome. Trying it right now on Manjaro. Looks very promising. I have some issue with GTK3 applications. For instance Tilix, Evince native GTK3 applications post global menu but nothing happens if you click it. Am I missing some library/module for this to work on native GTK3 applications? Global menus work great on my main computer. On my work laptop I never used them till now. I’m on the same system (Manjaro) on other computer and I don’t get chromium/chrome and electron global menus. The thing is: there is no way to find what am I missing. No documentation, no forum thread, nothing. I hope you can advise me what package am I missing (probably)? I have tried on Arch. It’s fantastic! Now, I switch to KDE Neon with panel size 21. Global Menu lost alignment. Will it work with intellij idea or Android Studio? I’m mostly use a Jetbranins Applications (Java i guess) . Will be nice to support that type of apps. One Idea for author, maybe when user is on “Desktop” and Plasma Use by Default Icons for desktop… will be nice to use appmenu from Dolphin? (or any default app set in settings) . that last it’s more inteligence. But… this solution give some “time” for us. I think it good solution . 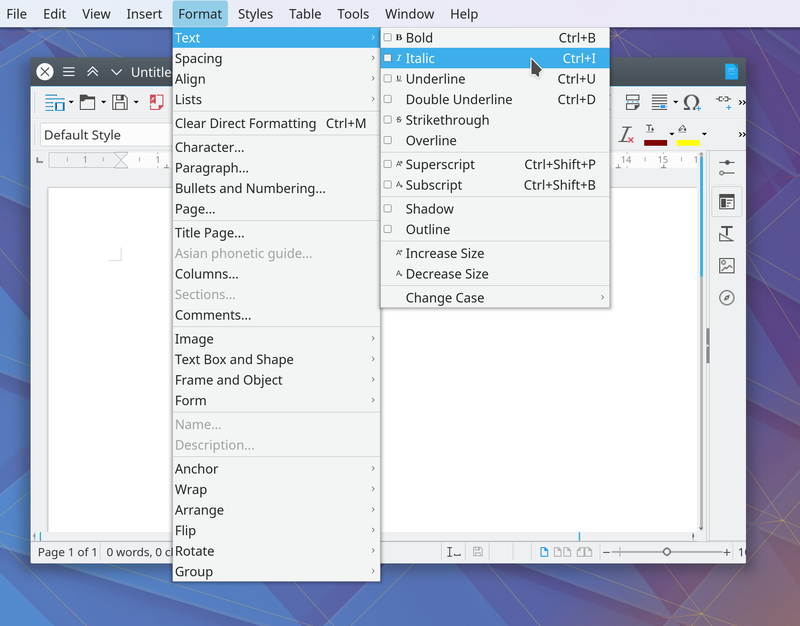 For the support of JetBrains apps, there is nothing to be done on the KDE side – the latest IDEs work nicely with the global menu after setting the experimental flag `linux.native.menu` – see https://askubuntu.com/a/1086057/671821. As for Android Studio, at the moment, it is on an older JetBrains platform – https://youtrack.jetbrains.com/issue/IDEA-69424#focus=streamItem-27-3237114-0-0. Would it be possible to have a keyboard shortcut to open the hamburger global menu? What about the state of HUD in Plasma 5.14? Next Next post: I was at Akademy 2018!